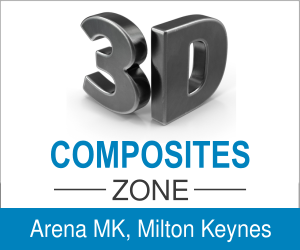 3D & Composites – The manufacturing processes of composite materials are numerous and often complex. Continuous research into the subject area has made it hugely relevant, with new advances enriching our understanding and helping us overcome design and manufacturing challenges. Our speakers will provide comprehensive coverage of all processing techniques in the field with a strong emphasis on recent advances in Modelling and Simulation of the design process.